Sent facebook messages to some chums asking for suggestions of journos they may know who could do a report on the anticipated problem of gaining a lease for the SOHO FOUNDRY from the reluctant freeholders. This is Westminster (Kingsway) Further Education College Corporation, a private company difficult to trace (8th May 2012 – see note * below). They tried to sell the entire site in 2008 but were blocked by Westminster council on the grounds that it should be for public use and it is in a conservation area. The sale was to a commercial developer and for profit. Our planning application for a community arts centre/event space & cafe is expected to be approved. Our entrance from Peter Street is entirely separate to the college, and we propose to share outside basement space which is not currently used. We would pay rent and rates, and provide a valuable community resource not currently available. 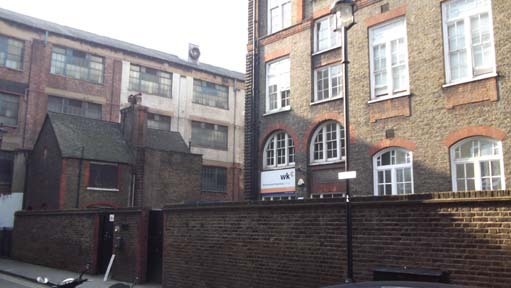 We have proposed the idea of using some space in the main college building as SOHO WORKSHOPS for start-up artisan style studios, rental to the college possibly underwritten by the Arts Council, to provide long term income in lieu of an outright sale of the entire site. The fact that a public facility has been sold for profit and now being in private hands is not now available to the community for whom it was originally built, and has been left derelict for 23 years, must be exposed. PLEASE DO NOT DO ANY PUBLICITY WITHOUT GOING THROUGH ME & BERWICK STREET COMMUNITY GROUP!! !